Francis Plagne is pleased to announce the release of his new LP, Funeral Mutes, the second release on his vanity label, Mould Museum. 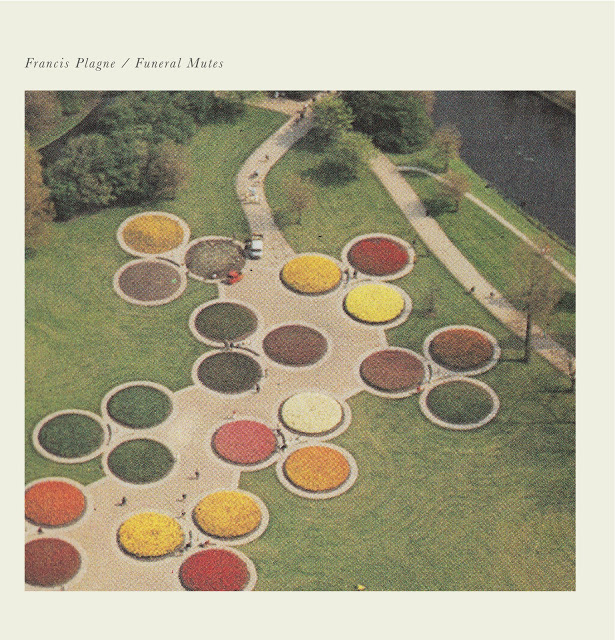 Although there have been some collaborations (with Food Court and Andrew Chalk) and a tape in the meantime, Plagne's songs were last heard in long-player form on Tenth Volume of Maps, released in 2011. Here, aided by long-term collaborators Alex Garsden, Yuko Kono, James Rushford and Joe Talia, he continues his exploration of idiosyncratic, extended song forms and fragmentary lyricism. Primarily recorded over a few days in late 2013 in conditions approaching ‘live-in-the-studio’ (with overdubs added in 2014), Funeral Mutes presents six songs that detour through silence, blown bottles, Stormcock-influenced prog folk, a hint of chicken scratch and a drum solo. Recorded, mixed and mastered by Joe Talia, 2013-2015. Edition of 300 with glossy A3 lyric insert.